When Hamilton Brooke launched Tennerfest in 1998 we had no idea that it would become the Channel Islands’ biggest food festival, let alone that it would be thriving 20 years later. The event requires months of planning and preparation. In fact, right now we’re knee-deep in all things Tennerfest, from designing artwork for our print and digital campaigns, working on the website, contacting restaurants, coordinating with sponsors, to launching our social media and PR campaigns. Earlier in the year, we starting thinking about ways to make our 20th anniversary extra special and, as a result, we’ve taken the exciting step to publish our very own free, standalone Tennerfest newspaper. Launching in September, it will be delivered straight to homes across Jersey and Guernsey, with copies also available in Alderney and Sark. This means that Tennerfest 2017, and its participating restaurants, will get more exposure than ever before. 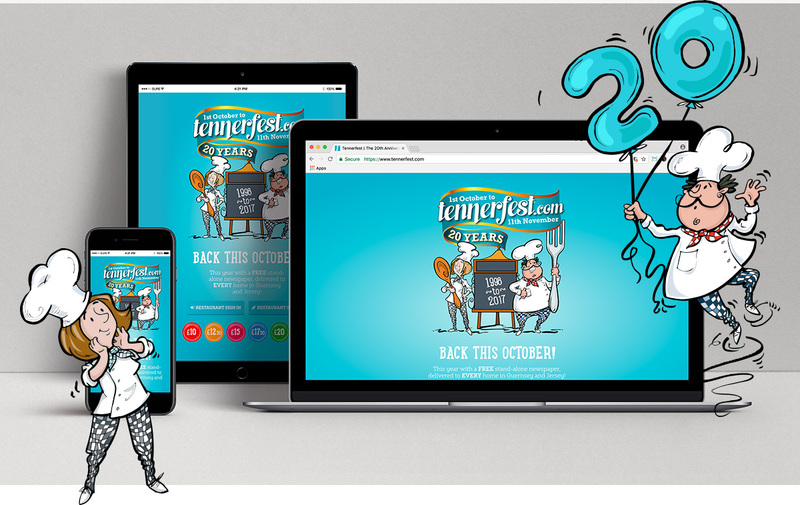 Just 34 Guernsey restaurants signed up when Tennerfest launched in 1998, and Jersey joined in the fun in 2001. Now, we have 170 plus restaurants regularly taking part and Tennerfest has firmly established itself in the vocabulary of Channel Islanders. Here’s to 20 years of Tennerfest – 2017 promises to be its biggest year yet!